Brand wants rugby fans to enjoy a pint of the clear stuff. Guinness is to launch a TV ad tomorrow to mark the start of the Six Nations rugby tournament, of which it has taken the sponsorship over from the Royal Bank of Scotland. 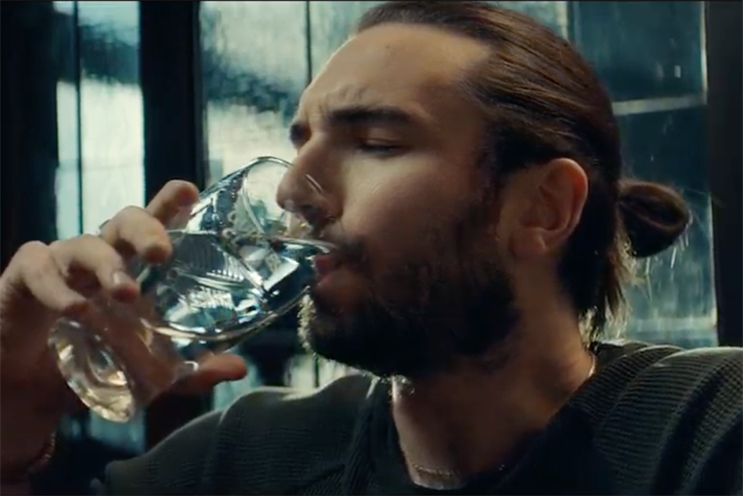 However, the black stuff is nowhere to be seen in the spot, created by Abbott Mead Vickers BBDO, which is intended to make rugby fans more comfortable with the idea of ordering a pint of water in the pub. H2O gets the advertising treatment with a rebrand to Guinness Clear, which we see men exaggeratedly enjoying while a voiceover enthuses about its flavour. The work was written by Tim Riley, art directed by Zak Loney and directed by Tom Kuntz through MJZ and Pull The Trigger. Creative directors were Nicholas Hulley and Nadja Lossgott. Mark Sandys, global head of beer, Baileys and Smirnoff at Diageo, said: "At Guinness, responsible drinking is something we take very seriously. With the launch of Guinness Six Nations, we wanted to ensure we delivered this important message to sports fans in a compelling way and so Guinness Clear was born. "We want to make sure that ordering water, no matter the context, is an active and positive choice by the millions of fans who will be watching and attending the Guinness Six Nations over the next six weeks." Guinness Clear will have a heavy presence at home nations’ stadiums, including branded water fonts and Guinness Clear sampling teams giving water to match-goers. Media was handled by Carat.